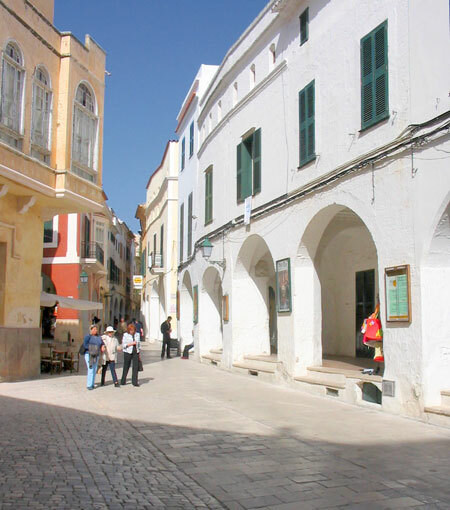 Menorca Ciutadella the Guide to Ciutadella Menorca the historic old capital. Ciutadella, an historic town that has held up well to the pressure of tourism in the twentieth century. 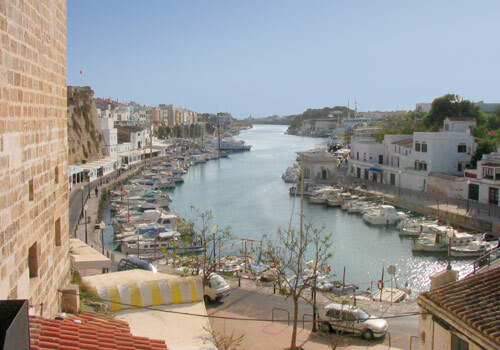 It was originally named by the Carthagians, who called it Jamma, and was the original capital of Menorca until the British came along and moved it to Mahon in the eighteenth century. 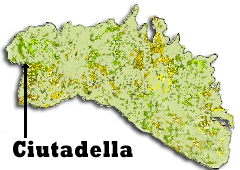 But Ciutadella still remains the religious capital of Menorca. strolling by - the worries of the world vanish. 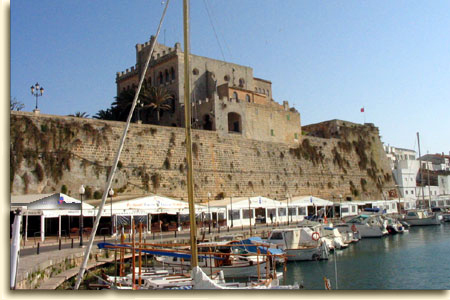 One of the best places to view the harbour is from the main square, Plaza de's Born. 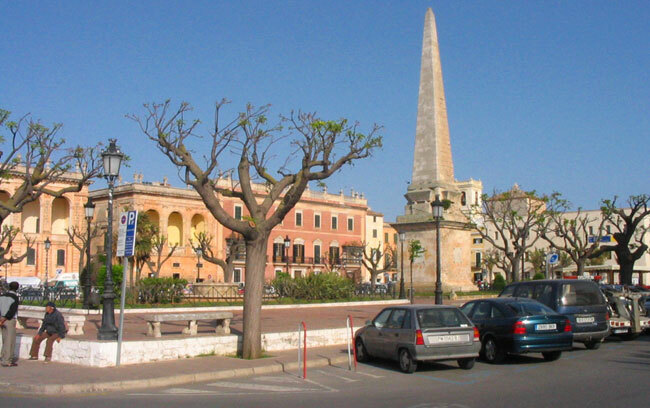 The centre of the square is dominated by an obelisk which commemorates the defence of the city in 1558 when it was attacked by the Moors. The Cathedral in the Plaza de Pio XII, completed in 1362, took over 50 years to build. Without doubt, the best way to see Ciutadella is by foot. Forget the time and your map and just wander through narrow streets soaking up the atmosphere.